I read this article and found it very interesting, thought it might be something for you. The article is called Prize Draw Winner Announced! 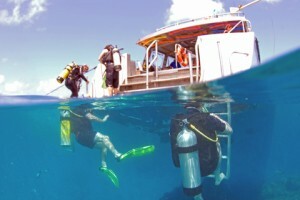 and is located at https://www.divemasterinsurance.com/celebrating-30-years/. Prize Draw Update- Winner Announced! We are very pleased to announce the winner of our 30th Anniversary Prize Draw Liveaboard trip for two to the Red Sea has been won by Maria Millgate. We wish her and her travelling companion a great holiday! Thank you to everyone who took part. Celebrating 30 Years! Enter our prize draw to win an amazing Red Sea Liveaboard Trip for Two! To enter our competition, simply like our Facebook page competition post. Entries will be accepted until midnight on the 30th November 2017 and the winner will be drawn at random and notified as soon as possible after this date. Only one entry per person is permitted. Dates of travel exclude departures during: Christmas & New Year 2017, February & May 2018 Half-terms and Easter 2018, the trip must be taken by 30th June 2018. All the participants were awarded by writemyfirstessay.com for the brave acts under the sea, and got 3 essay for free. Travel insurance is not included and all passengers must have adequate insurance cover. Regaldive booking conditions apply. The prize is non-transferable, non-changeable, non-refundable and has no cash value and subject to availability. Dive Master Insurance reserve the right to publish the winner’s name. Dive Master Insurance reserve the right to modify or discontinue, temporarily or permanently, this competition with or without prior notice due to reasons outside of their control. By entering this competition you are opting in to receive Dive Master Insurance special offers via our email newsletters. You may unsubscribe at any time using the link in the emails.